Collaborating with each other for the third time after 15 years, Damian Lau (劉松仁) and Liza Wang (汪明荃) hope to create history with their latest modern-day romance series, Limelight Years <華麗轉身>. Initially, Damian’s schedule was too busy to accommodate filming for the series, but Liza insisted on pushing back the productions to accommodate her partner. In the recent years, many of TVB’s artistes left to pursue opportunities in Mainland China. Some senior artistes have also decided to retire early. 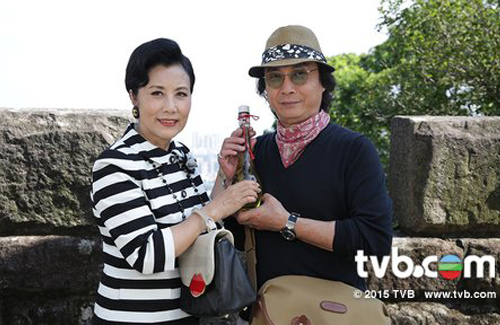 Louise Lee (李司棋) ended her long-running career at TVB with Romantic Repertoire <水髮胭脂>. Asked whether she plans to slow down her career to make way for retirement, Liza said she has no such plans in the near future. Despite being 67 years old, Liza’s passion for acting has not wavered. She has yet to come across a career more interesting and fulfilling than acting. Damian agreed with Liza’s assessment and said he will let nature take its course. He will simply pay more attention to his health, as well as his family members’ situation.